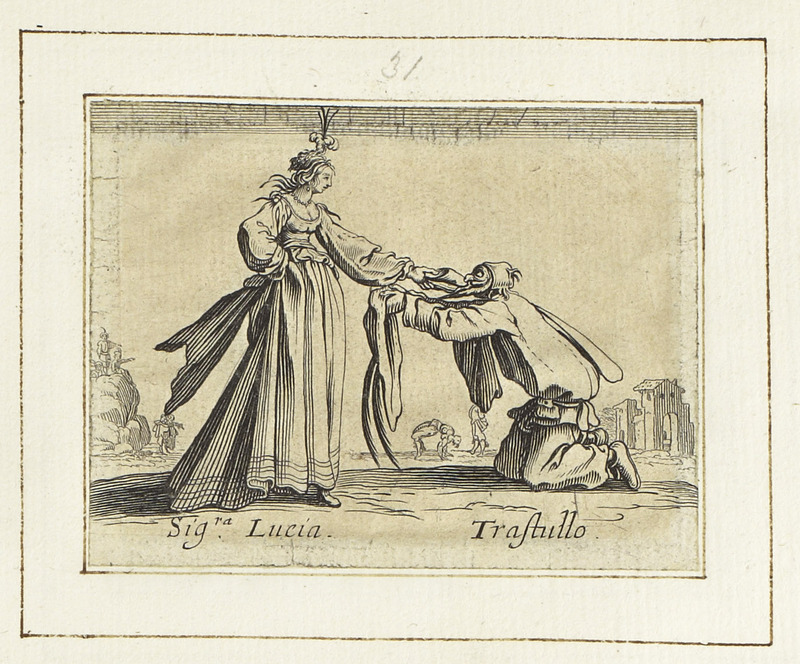 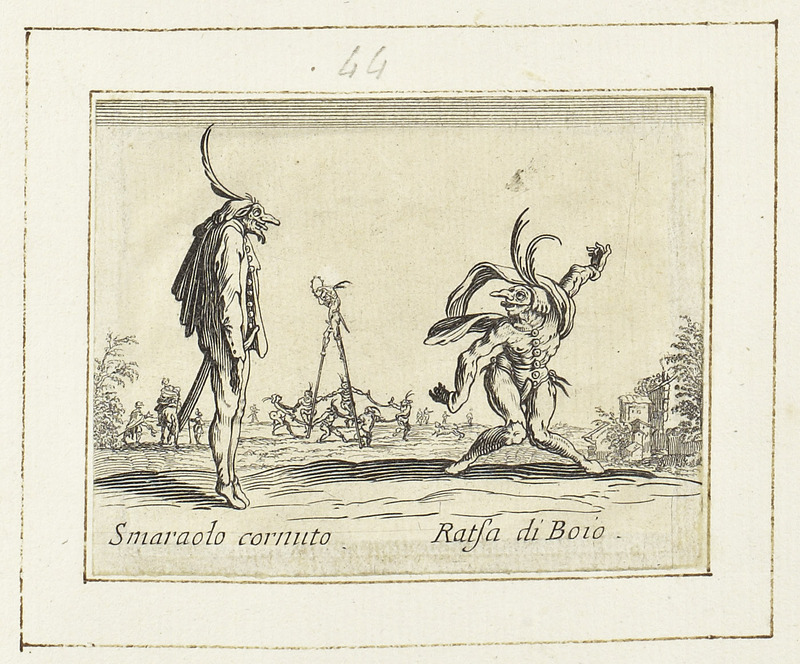 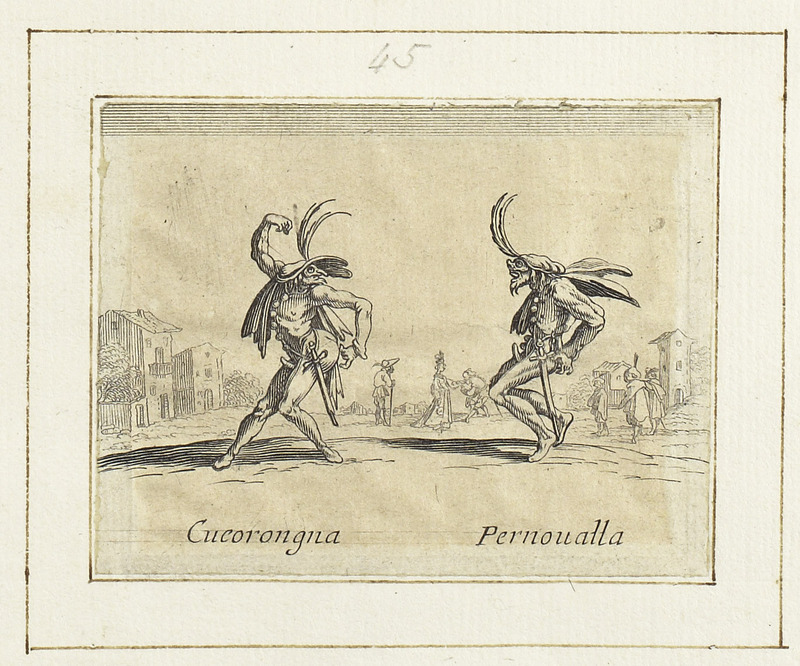 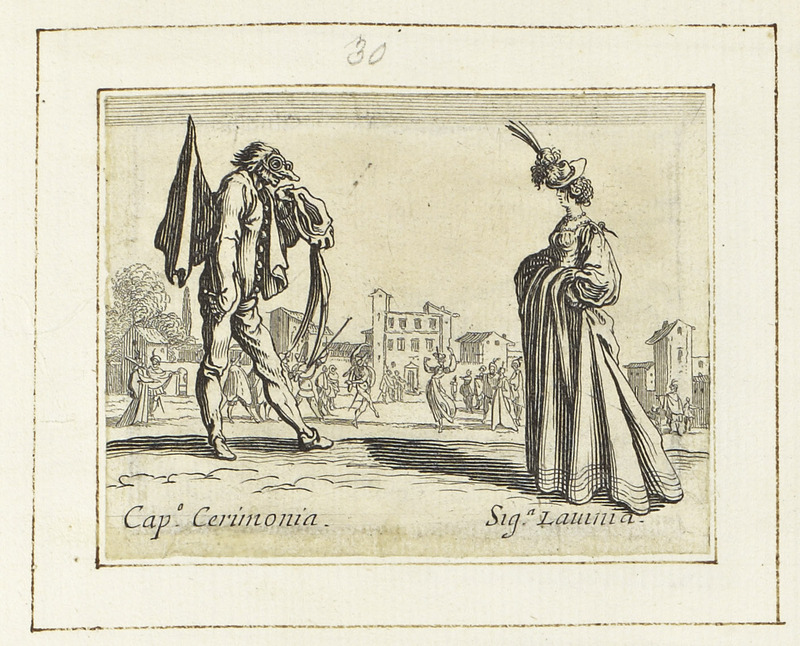 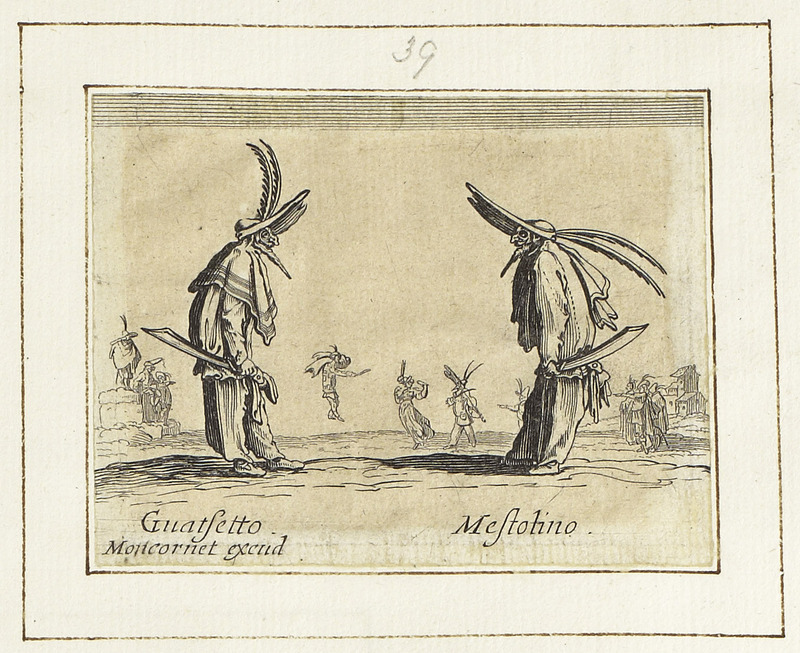 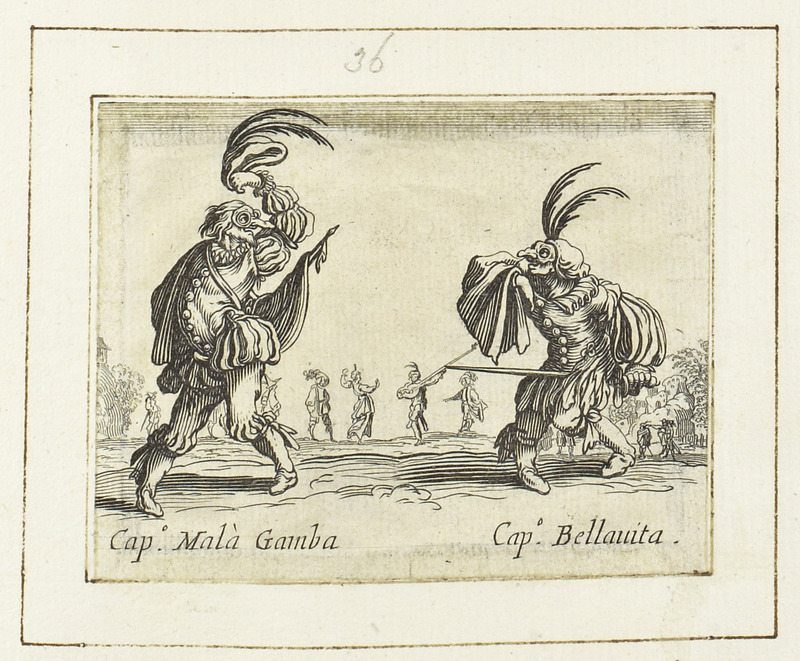 A group of sixteen prints, taken after the series Balli di Sfessania by Callot. 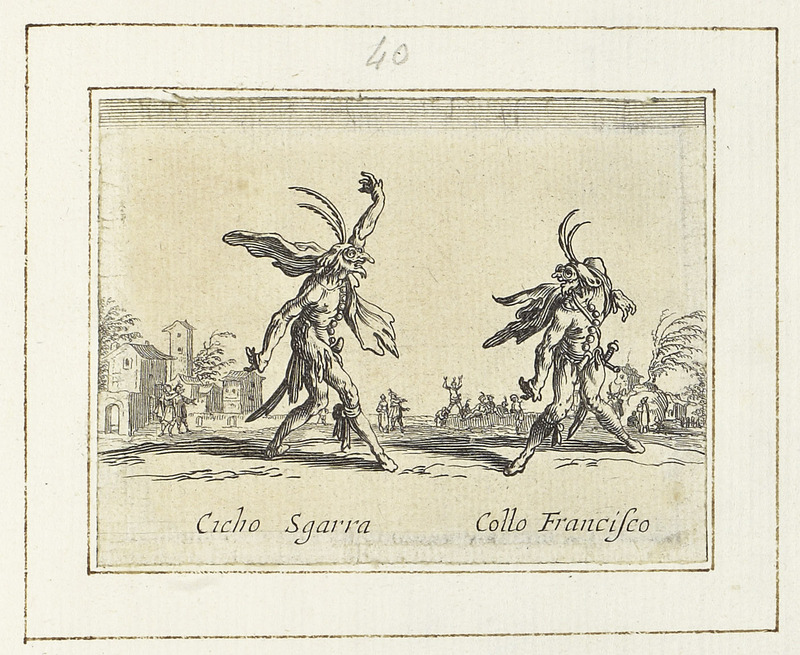 He produced the series in Lorrain in 1623 after his twelve-year journey in Italy. 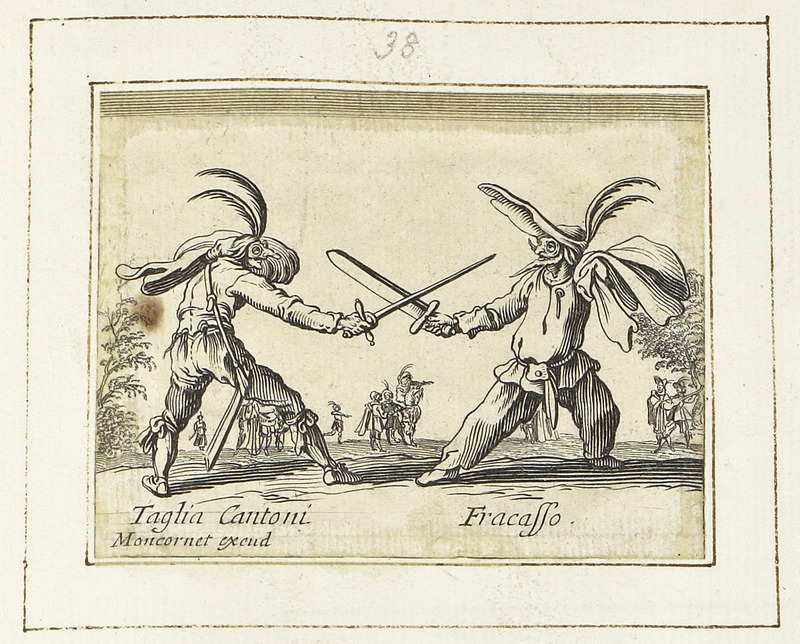 The prints were very popular and several sets of copies circulated. 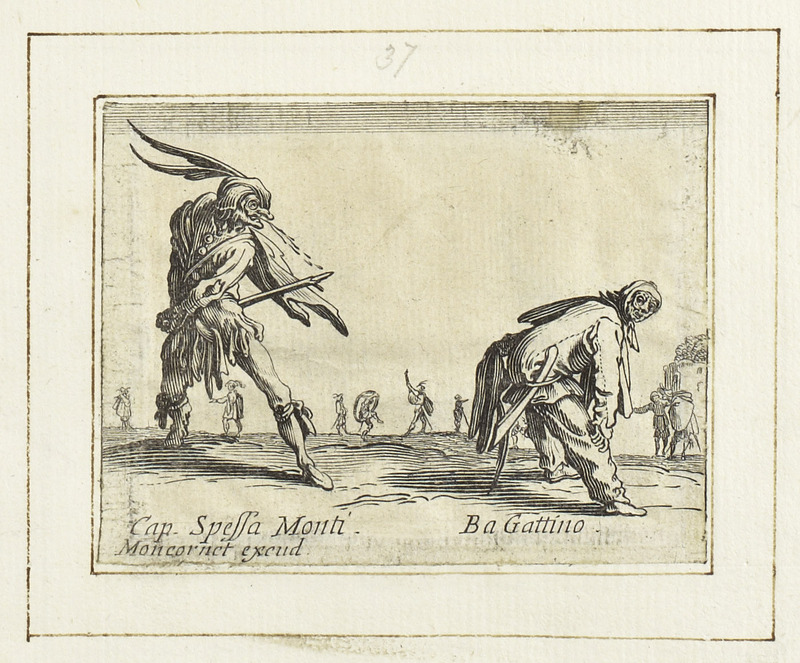 The copies on this folio were published in Paris by Balthasar Moncornet, possibly in the early 1630s. 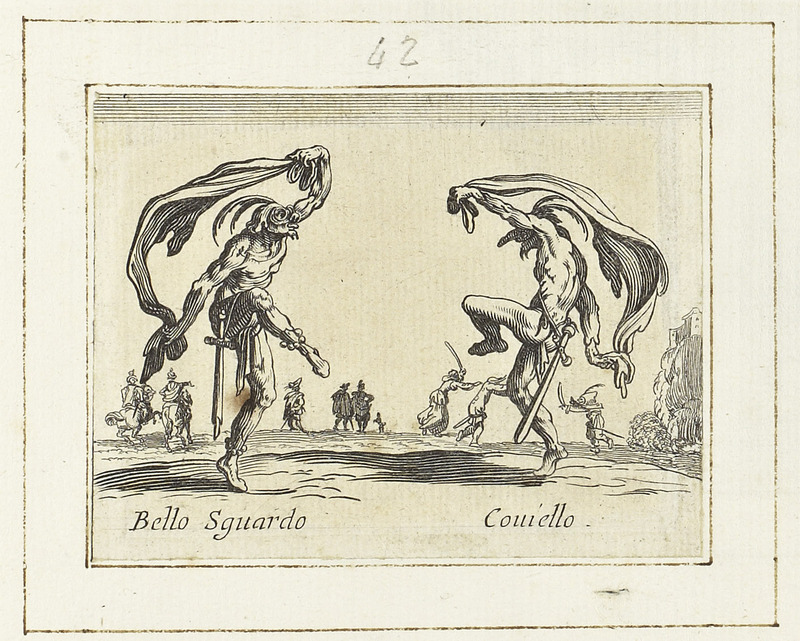 Cassiano owned sixteen of the twenty-four copied sheets. 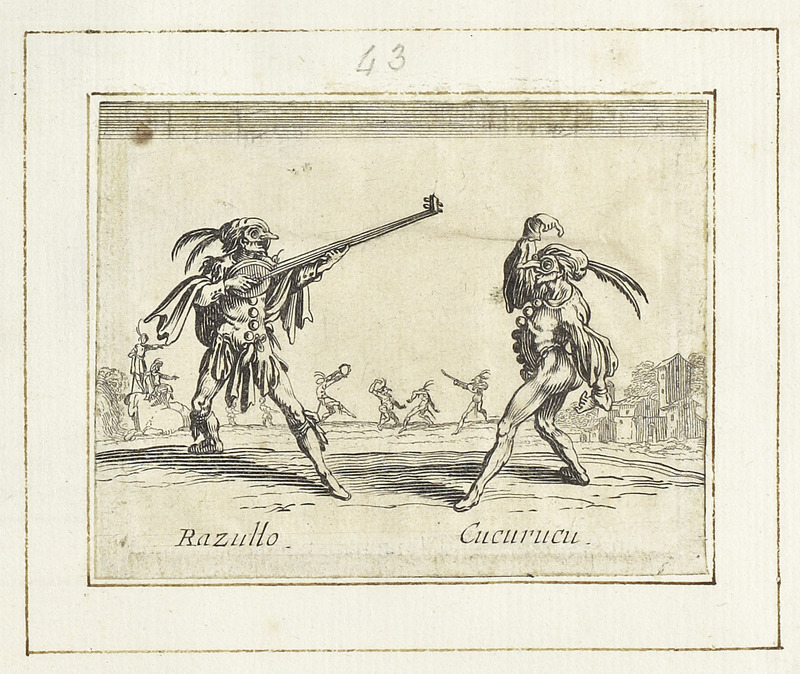 The Balli have been studied in many occasions: some scholars have considered them as tied to the theatrical traditions, whereas others have seen them as a product of Callot's fervid imagination. 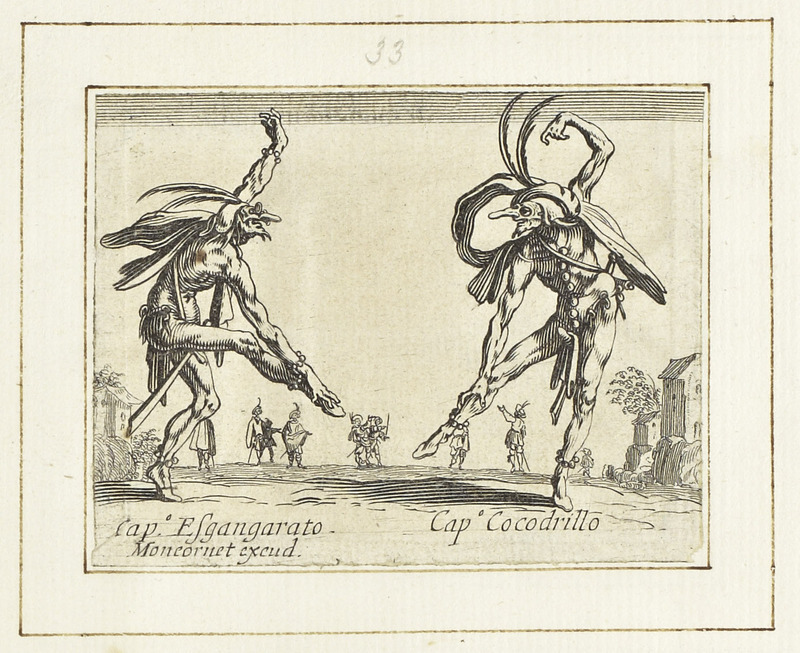 They possibly represent a mixture of both. 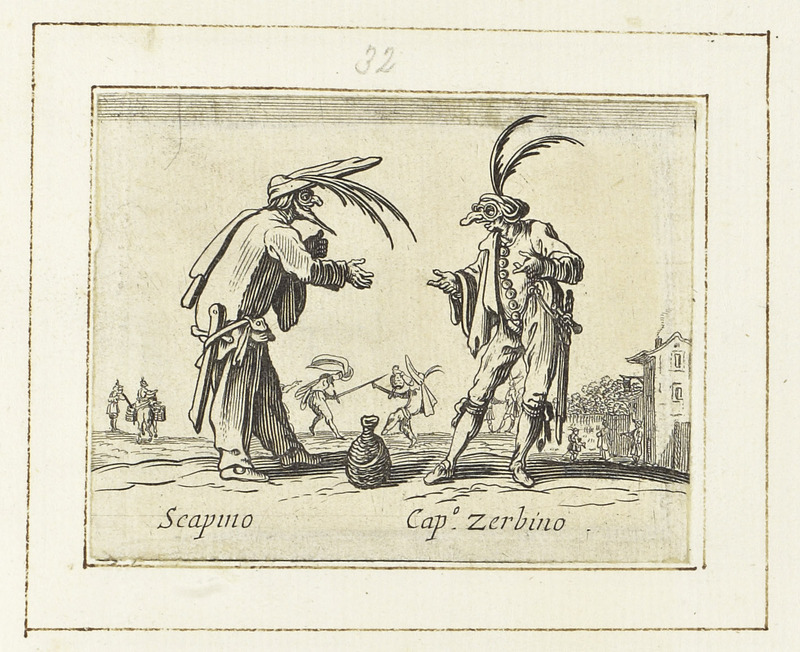 With the exception of the frontispiece, each print depicts two named characters, more or less well-known, with Neapolitan and Tuscan names. 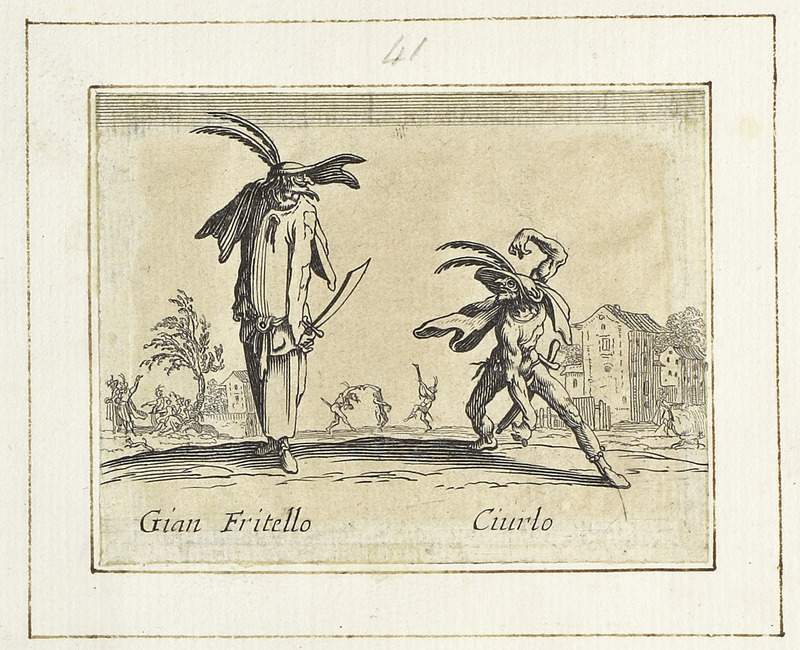 Both Callot's and Moncornet's series have titles in Italian, despite being published in France, demonstrating how fashionable Italian subjects were in France. 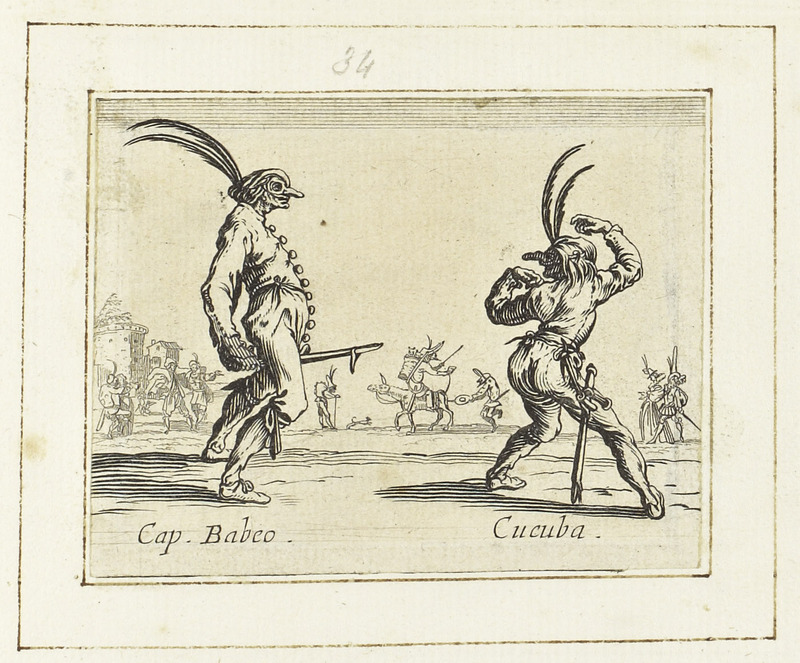 Callot's aim was not to represent specific actors but, through naming figures, to individualise their character traits, appearance and exaggerated poses. 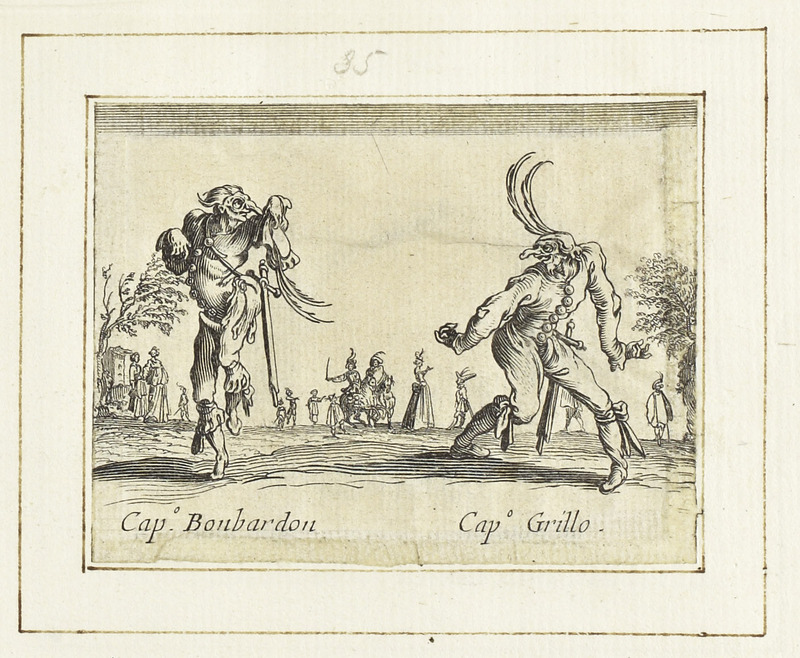 Moncornet's prints eliminate some of the buildings in Callot's settings, introducing a more theatrical context.